Secure Network Communications (SNC) is a layer in the SAP Netweaver architecture that provides an interface to external security products, therefore enabling the use of stronger authentication, encryption, and a single sign-on mechanism. 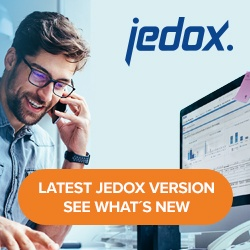 The Jedox SAP Connector uses Remote Function Call (RFC) connections to communicate with a SAP system with the help of SAP JCo. SNC can be used to secure such RFC connections. To configure SNC in the SAP system and in your network, refer to SAP documentation and how-to guides at http://www.sdn.sap.com. These settings have to be changed in the file [Jedox install path]tomcatwebappsetlserverconfigsapcomponent.xml under the tag <connections>. The JedoxSuiteTomcatService must be restarted afterwards.